As part of our job as your travel agent, we enjoy providing you with tips and tricks that will make your traveling experience more enjoyable and hassle-free. We have shared these tips via social media throughout the years, and here we have compiled a list of our top ten. Please read on to see our go-to tips we follow and encourage our clients to do the same! Partnering with a travel advisor to plan your trip is the way to go. You’ll enjoy a trip customized just for you, save time, receive better value, enjoy VIP treatment, and have a safety net if issues arise. As soon as you enter your hotel room, immediately put your luggage in the tub and do a bedbug inspection. Start your inspection with the mattress, as this is the most common area for bed bugs. Gently remove the sheet and mattress pad inspecting the four corners of the mattress and box spring. Also, if there are pictures or a removable headboard on the wall check behind them in the corners of the frame. Another important place to inspect that is often overlooked is the luggage rack or valet. 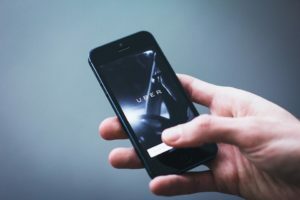 Download Uber, Lyft, or alternative transportation apps available in your destination before arriving so you can easily get to your hotel once you’re on the ground. Before you leave home, download your airline’s app. Most will give you real-time info on gate assignments, arrivals and delays. They can also display your boarding pass, so you don’t have to keep up with a paper one. Know the TSA Liquids Rule. You are allowed to bring a quart-sized bag of liquids, aerosols, gels, creams and pastes in your carry-on bag and through the checkpoint. These are limited to travel-sized containers that are 3.4 ounces (100 milliliters) or less per item. And yes, alcohol does qualify as a liquid. Read historical books about the destination you’re visiting. Understanding a location’s past will help you appreciate what you’re seeing in the present. 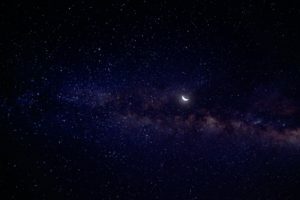 When you’re on a cruise, at least one night get up during the middle of the night to see the stars. You will be blown away! When parking at any huge lot (i.e. airport or Disney World) take a picture of the nearest sign so you’ll remember where your car is. For domestic travel, sign up for TSA Pre-check. With a 5 year, $85 membership, you can speed through security and don’t need to remove your shoes, laptops, liquids, belts and light jackets. To sign up click here. When travelling abroad enroll in the U.S. State Department’s Smart Traveler Enrollment Program (STEP). This will enroll your trip with the nearest U.S. Embassy or Consulate. 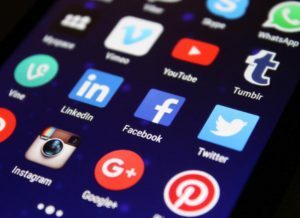 Once you’ve filled in your information, you’ll receive warnings, alerts, notifications, and news about where you’re traveling, or may even be contacted by family members having difficulty getting in touch with you while abroad. We’d love to hear your favorite travel tips. Comment below! 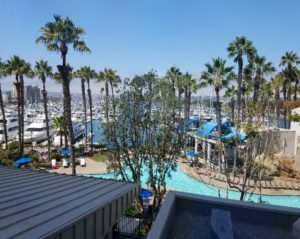 This last weekend I had the privilege of traveling to San Diego, CA for ASTA’s Global Convention. The event was held at the Sheraton Hotel and Marina. 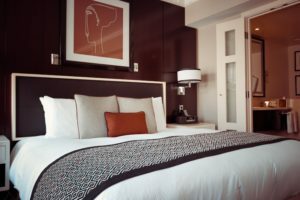 I have stayed at Sheratons all over the country and they are consistently great… this was no exception. From the moment I arrived the staff was welcoming and made sure that if I needed anything it was taken care of immediately. 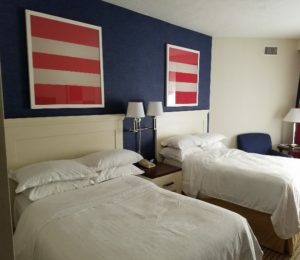 The room was very clean and comfortable. 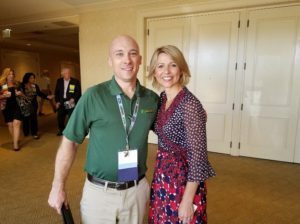 The conference was emceed by television host, Samantha Brown. 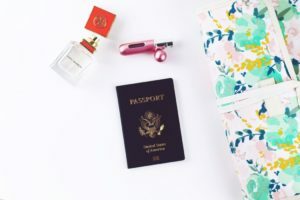 There were several learning opportunities along with a trade show where I met with several vendors and discussed what they could do to help me plan the very best vacations for my clients. 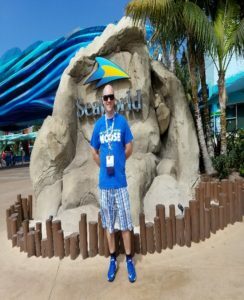 In addition to the conference, I was able to visit Sea World. 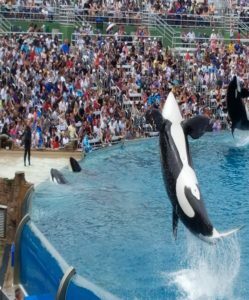 They have great shows which include: Orca Encounter, Sea Lions Live, and Dolphin Days. My favorite was the Orca Encounter. Also, being a roller coaster enthusiast- I had to ride the Manta. The ride had a great theme and graphics; and the ride was very smooth and not jerky. While it wasn’t a top thrill ride for me, I did like it a lot. 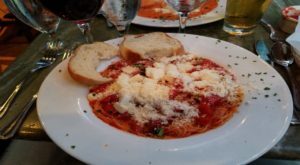 I also got the chance to eat in Little Italy at a fabulous authentic Italian restaurant called Buon Appetito. All of the pasta and sauce is freshly made and you feel like you’ve left the US and entered Italia. 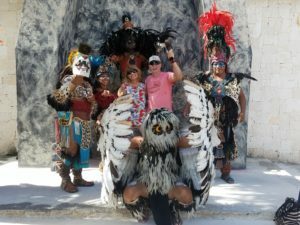 Our CEO and CFO took their fifth cruise together in December 2016 on Norwegian Cruise Line’s Jade. 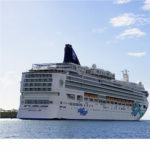 The Jade is a smaller ship in the Norwegian Jewel Class. It was built in 2006, refurbished in 2011 and has a guest capacity of 2,402. 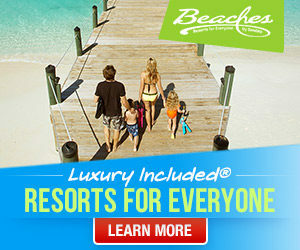 Combined with NCL’s Freestyle Cruising, it is the perfect vacation for couples, families and groups. There were four ports of call filled with amazing culture, local food, adventure, and not to mention sunshine! 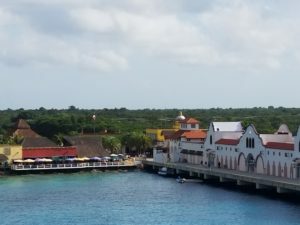 The first stop on our Caribbean cruise was Cozumel. 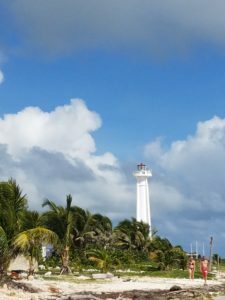 Cozumel is a beautiful island with several piers. There was plenty of shopping, restaurants and bars within walking distance of the pier. 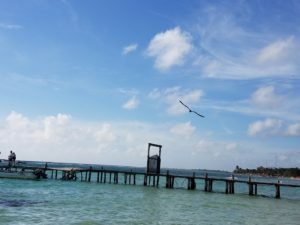 We chose to visit Chankanaab Beach Park for its beautiful beach, amazing snorkeling, cooking demonstrations (including how to make fresh guacamole), tequila tastings, and a fantastic sea lion show. 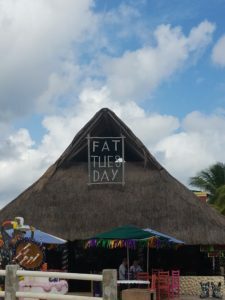 Lunch was at a restaurant on the beach and we sampled some of the best shrimp fajitas ever! 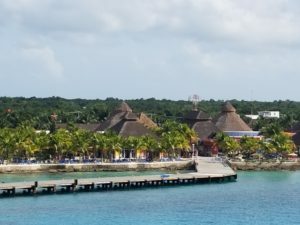 The second stop on our Caribbean cruise was Costa Maya. 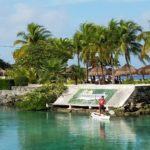 Costa Maya is a relatively new stop for cruise ships. There are many cultural photo ops within walking distance of the pier. We chose to take an excursion to a local beach for the day. After an open air bus ride there, we were greeted by our waiter who found us chairs under an umbrella and kept our glasses full the rest of the afternoon. We slept, swam, took several walks on the beach and enjoyed the amazing views! The third stop on our cruise was Roatan Bay, Honduras. Honduras is a beautiful island, but has not been developed as much as other stops on this cruise. 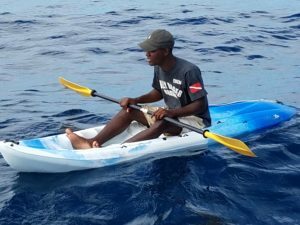 We chose a day of snorkeling and fun on the Jolly Roger Roatan. After a short bus ride to the marina, we were treated to crystal clear water along the coast and saw lots of colorful marine life. Following an hour of snorkeling, a delicious buffet lunch was served along with lots of rum drinks. The crew were amazing! 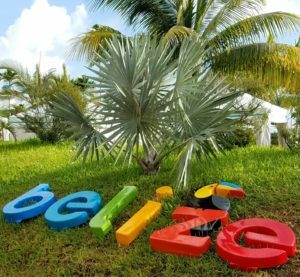 The fourth and final stop was Norwegian Cruise Line’s private island in Belize. The island was developed specifically for cruise ship stops and has all the amenities and activities you could hope for. We chose to go parasailing. There were several other couples on the boat with us. 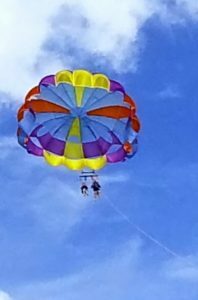 As we got away from the port, each couple was harnessed in and went parasailing in tandem. The views were unbelievable as was the surprise dunk into the water before returning to the boat! The most extensive list of characters (when and where to find them). Kenny provides tips on how to interact with the characters. A lot of the information on this site is free, however there is premium content available for $6.99 / year. There’s also a corresponding app for iPhone and Android. The best way to have a great Disney World vacation is to minimize wait times. In my opinion the easiest way to do that is with a subscription to Touring Plans. You tell touring plans which park you’re going to, what time you’ll be arriving and departing, choose your plan based on the ages of the guests in your party, and how you want to tour (fast, medium, or slow paced). Once you input your info touring plans will give you step by step instructions on what to ride 1st, 2nd and so on. You can print your touring plans or you can download the app. The app has an optimize feature that will adjust your schedule based on current wait times. Touring plans will also make fast pass plus suggestions for you. If you’ve already made your fast pass selections, you just input the times and the touring plan will be built around your current fast pass times. One helpful tip when it comes to fast pass is you’re allowed to arrive up to 5 minutes early or 15 minutes late. Touring plans does cost $12.95/ year, but it’s well worth it. WDW Prep School is a great site for researching all things Disney World related. Most of the information on the site is free, but they do have premium content available for a fee of $15-$25/ year (depending on the package). This site has a weekly podcast called WDW Prep To Go that’s available for download free of charge. Shop Disney Parks has an app available for download that will allow you to order merchandise from home that’s only available in the parks. Also, while you’re at WDW you can scan any merchandise barcode, order the merchandise, and have it shipped to your home. There’s also a feature that will allow you to search for items and the app will tell you where in Disney World you can find it. My Disney Experience is an awesome app that has maps, show times, wait times, make dining reservations and more. My favorite feature of the app is that it allows to make fast pass reservations without visiting a kiosk. You’re allowed 3 fast pass reservations per day, but once those are used up you can make more (only 1 at a time) right from the app. If you’re park hopping you can even make your 4th reservation at a different park! • Get a button! These are available at the resort check in or at the theme parks guest relations. They’re absolutely free and you can choose from 9 different occasions (1st visit, birthday, anniversary, etc.). When a cast member sees the button they make sure to say something to you and it will make your time a little more magical. • Make your dining reservations 180 days out when possible. The more popular Disney World restaurants book up quick and if you don’t make reservations 180 days in advance you will be left out in the cold a lot of the time. If the restaurant you want to book is full be sure to check back periodically because people do cancel. If you want to cancel a reservation make sure you do this at least 24 hours in advance or you will be charged $10 / person. A credit card is required to hold your reservation. • Take advantage of free ice water. Any food or beverage cart or stand has ice water available for free. • Use Disney PhotoPass photographers. Even if you don’t have the Memory Maker package the PhotoPass photographers will use your phone or camera to take a picture of you and your family. • Resort hop (time permitting) One of our favorite things to do is to take the monorail from the Magic Kingdom to all the resorts on the monorail loop. These are the Polynesian, the Grand Floridian, & the Contemporary. I would recommend doing this around lunch time because that’s when the Magic Kingdom gets crowded. 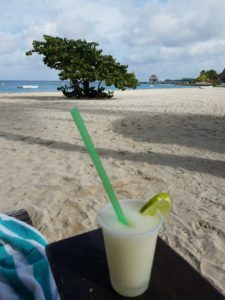 There are great restaurants at the resorts and will give you some down time. This also gives you a chance to check out the beautiful resorts and shop in their gift shops. Remember you must take the monorail to the Ticket and Transportation Center (TTC) and then transfer to the resort monorail. No trip to Disney is complete without riding the monorail! • Eat at off times. Disney restaurants are extremely busy during lunch and dinner times so if you can eat a little earlier or later than usual it will be much more relaxing to you. • Be extra nice to the cast members. This will go a long way in making your vacation awesome! Not to mention it makes the cast members day a little brighter. If you need ANYTHING don’t be afraid to ask a cast member. The worst they can say is no, and most of the time they will go out of their way to help you. • Arrive at rope drop when possible (FYI there’s an opening ceremony at the Magic Kingdom that starts 15 minutes before they open the turnstiles). • Rent a car when possible (Disney transportation is great, but I don’t like standing in line for a bus when I’m already going to be standing in lines all day). Also parking is free if you’re staying on property. • Go with the flow. 1 guarantee is that not everything will go as planned. When plans go a rye, you may have to skip an attraction or come back to it later. Also, Disney is very crowded and sometimes brings out the worst in people. It’s not worth letting yourself get upset with these people because it can ruin the magic. • Use the Photo Pass photographers. Even if you haven’t signed up for Photo Pass the photographers will use your camera or phone to take a family picture for you free of charge. TTA People Mover – This ride is one of my favorites! Located in Tomorrowland the People Mover is a slow moving ride that goes through Space Mountain, Carousel of Progress, and Buzz Lightyear’s Space Ranger Spin. It’s a constant loading ride so there’s never much of a wait. It’s very relaxing, but still very enjoyable. Monster’s Inc Laugh Floor – Located right next to the People Mover Monster’s Inc Laugh Floor is a 10 minute show that has a lot of audience interaction and it’s hilarious! Not to mention the wait time is usually never more than 10 minutes. Living with the Land – This boat ride located in the Land Pavilion takes you through our countries history in efforts to live at peace with the land. This is a relaxing, educational, but fun ride. There’s usually little to no wait and it’s a must do in my opinion. The Seas Pavilion – This place is something to see! It has the world’s 2nd largest salt water tank (next to Georgia’s Aquarium), Nemo and Friends ride, and Turtle Talk with Crush. Make sure you plan at least an hour here because there’s so much to see! The little ones will really love Turtle Talk with Crush, as this is the most interactive character meet at WDW! Ellen’s Energy Adventure – This is a 30 minute dark ride that takes you back into time. It’s hosted by Ellen Degeneres and is in an air conditioned building. Be sure to ride this ride now as it is closing for a new ride in the near future. Dinosaur – Located in Dinoland this is a slow ride that takes you back into a prehistorical time. This ride is a lot of fun for all ages, but may not be suitable for little ones as there are some dark and loud scenes. Rafiki’s Planet Watch – Located in Africa, you must take the Wildlife Express train to get there. Here you’ll find a petting zoo called Affection Section that’s great for kids and animal lovers. Also, there’s veterinarians on staff and you can watch them doing live examinations. When we were there we got to see a porcupine having surgery. At Planet Watch you and your family will learn about conservation and how to save the planet. There are 3 characters here also (Rafiki, Chip, and Dale)! The Great Movie Ride – This ride is a Disney Classic! It takes you through the years of movies and a few of them are recreated right in front of your very eyes! This is a slow moving ride for all ages with lots of cast member interaction. There’s never much of a wait and it’s a great way to get off of you feet. Toy Story Midway Mania – Ok so this ride isn’t underrated, but it’s my favorite ride in all of Disney World! It’s an interactive 3d game where you sit in a car and shoot and break things. You get a score for your efforts and if you’re as competitive as my family you can’t ride just once! The que line is very interactive making time go by quickly, plus the que is indoors! This ride is notorious for its wait times, but they recently added a 3rd track to minimize these wait times. Even with the 3rd track I would recommend making a fast pass plus reservation or arriving at rope drop and going straight to this ride. Columbia Harbor House – Located right in front of the Haunted Mansion, this is a counter service restaurant that has some amazing dishes. I’m vegetarian so I always get the Lighthouse sandwich and a cup of veggie chili, but there’s nothing on the menu that isn’t good. Biergarten – This isn’t just a meal, it’s an attraction! You sit a big table with other guests (community style) and eat delicious German food. They also have a German band playing at certain times throughout the day. The food is served buffet style. They have the best German beers and all of the wait staff is from Germany. You literally feel like you’re in Germany! Advance reservations aren’t always needed, but recommended. Showtimes are daily at 1:15, 2:15, 3:15, 4:45, 5:55, 7:00 & 8:05pm. Sci Fi Dine In Drive – I’ve yet to find any restaurant at Hollywood Studios that I would rave about, but the setting at Sci Fi is awesome! You sit in an old school car and watch terrible old clips of sci fi movies. While that might not sound like much fun, just try it! The food is just ok, but the setting makes up for it. Advance dining reservations are recommended. Boma – Located in the Animal Kingdom Lodge Boma is an African flavored restaurant. This is a buffet with something for everyone. They have chicken nuggets and mac n cheese for the kids, but they have some amazing dishes for the adults as well. The service is second to none (most of the servers are from Africa). The setting is perfect Make sure you allow yourself enough time to explore this beautiful resort. Advance dining reservations are highly recommended. Ohana – Located in the Polynesian this is a character dinig experience with Lilo, Stitch, and Mickey. All of the food is served family style where it’s brought out to your table and everyone dishes out of the pan. This is a great restaurant for breakfast, lunch, or dinner. The food is delicious and advance dining reservations are highly recommended. Downloading and listening to Disney podcasts while in your car or at the gym is the best way to stay current and familiarize yourself with all things WDW pre vacation. Alexandria, VA, May 2, 2016 – New research from The American Society of Travel Agents (ASTA) proves that travel agents save consumers time and money. Consumers report that travel agents save them an average $452 per trip, and four hours in travel planning. Perhaps most importantly, consumers said that agents help them avoid costly mistakes. 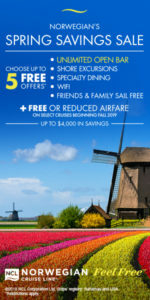 The independent study, “Best of Both Worlds: Quantifying How Travel Agents Save Consumers Time and Money,” was funded by Carnival Corporation and conducted by market research firm TNS Global. Detailed findings of the final version of the survey will be available on ASTA.org by May 30. “We couldn’t hold back the good news, and that is that travel agent usage is at its highest level since we began commissioning independent consumer research three years ago. At this point, consumers have tried it all. They’ve booked online, they’ve gone direct, and they’ve used a travel agent. This study dispels the myth that booking direct with suppliers or spending hours online yourself gets you a better deal, or gives you a happier travel experience. Consumers told TNS Global that if you want a better travel experience, use an agent,” said ASTA President and CEO Zane Kerby. ASTA is releasing the results in honor of National Travel and Tourism Week May 1-7, with a special focus on Travel Agent Appreciation Day, Wednesday May 4. “We want to say ‘thank you’ to our members all over the globe for all you do every day to advise and protect your customers,” Kerby said. In addition, ASTA’s sister brand, the National Association of Career Travel Agents (NACTA), is declaring the month of May “National Travel Consultant Month.” Congratulations to all NACTA members. More information on that can be found on NACTA.org. • In the past 12 months, nearly half of consumers polled (47%) booked travel through supplier websites, followed by 25% on online travel agency websites, and 23% through travel agents. That 23% was the highest share in the past three years. 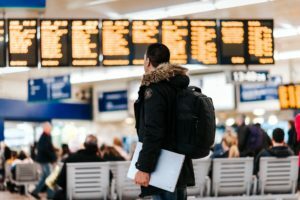 • When looking back on their past travel experiences, almost two-thirds (63%) said using an agent makes their overall trip experience better; 69% reported that agents save them time in planning and booking; 66% said agents help them avoid costly mistakes, and 64% say agents find the better deals. • Travel agents lead other booking channels in selling river cruises, and tie online suppliers for selling ocean cruises and tour packages. Agents also scored well for selling all-inclusive resorts and travel insurance, nearly tying with online suppliers. 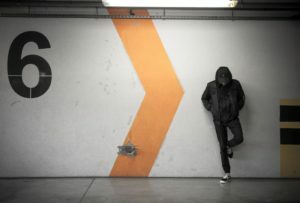 • The top reason cited by consumers who have not used an agent in the past 12 months of why they would consider it is if the agent can save them money (47%), followed closely by if the agent can find better deals than online websites and if the travel agent can help the consumer avoid mistakes.